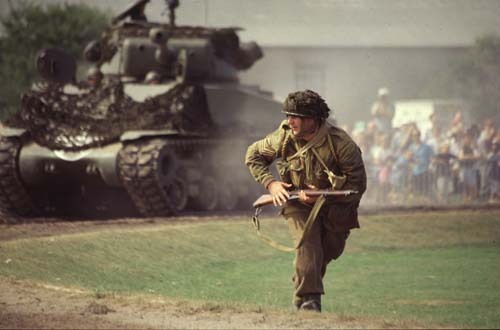 Ron and Maggie Tear Photography: Re-enactment Bovington Camp Dorset. A British paratrooper actor during a re-enactment at Bovington camp. This is the Tank Museum and each year they hold this event.Plenty of candids to take with some atmosphere to boot.It is supplied by the tanks that take part in reconstrutions of battle.A great day out!